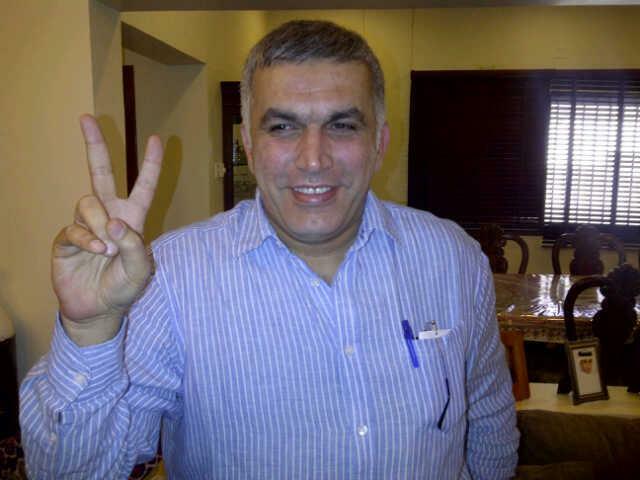 President of Bahrain Centre for Human Rights, Nabeel Rajab, has been released on $800 bail, his lawyer Mohamed Al Jishi said. Earlier this month, Rajab was arrested at Bahrain International Airport on his return from Beirut. Charges against include writing “insulting” posts in social networks (Twitter). He has also been charged with calling for protests via social networks. Eventually his posts expose human rights violations in Bahrain. Despite the fact that Rajab is now with his family, charges against his are not dropped. This means that he could be rearrested at anytime, and he is banned from travelling outside Bahrain. The next hearing is scheduled for June 17. Again, enemies of the Internet don't want to admit that having charges against a human rights defender who exercises his rights to freedom of expression is rather a very oppressive act by the Bahraini authorities. whereabouts. Just as Rajab said, the struggle continue.